Alchemy is the science of understanding, deconstructing, and reconstructing matter. However, it is not an all-powerful art. It is impossible to create something out of nothing. Turning eggs into diamonds, however, is entirely possible. 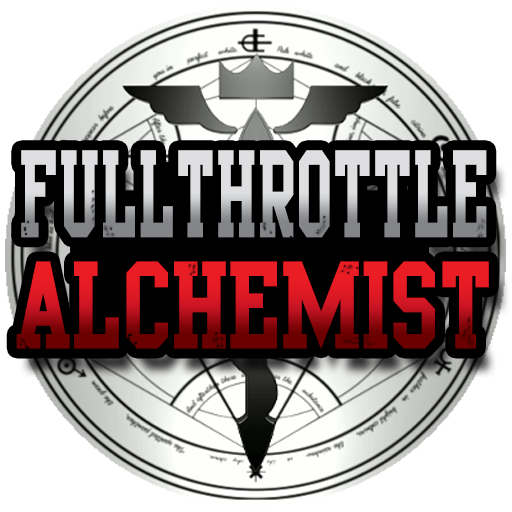 FullThrottle Alchemist is the official successor to DartCraft, and creates a system by which things can be transmuted into other things. The mechanics behind this are an extrapolation of what the fictional scientific art of alchemy from FullMetal Alchemist would be like in the real-world, ported to Minecraft. Several aspects of DartCraft see their return, such as shearing cows, packs, clipboards, item cards, bombs, storage units, and many more! There's also plenty of new content as well! FTA adds nothing to world generation, and is not likely to ever do so. If you want to support me and keep me working on this, become a Patron! Check out my YouTube and Twitch channels as well! I like this mod a lot, but could you add a config option that makes the elements items are made of render above the item? When it covers up the tooltip (like it does now) it makes it annoying to read the tooltip. I've been wondering the past year or so on whether or not Dart like, actually... died or not. If you're out there reading this Dart, give me a reply. I checked your YouTube, Twitch, and Twitter - no content since 2016. Sorry to be dark, guys. It's just... you don't just ghost on the internet like that for no reason. same thing with whats his name? ah yes emphion or something like that (witchery creator) unlike dart however he is almost definitely alive (he deleted is forums account). Could I please use this mod in a private FTB mod pack? It would be just for one server, for a YT let's play series. Have no idea what happened to bluedart. His youtube, curse, Minecraftforum twitter etc has not been touched since June... That along with his website going offline worries me a bit. Hope he is ok and just really really busy or something. I have a problem with this mod, can someone help me? I put the mod on mods folder, and start the game with forge 10.13.4.1614, but if i press play, the game loads, and if it ends load it crash. Do you have nei installed? So I'm able to get this working in ATLauncher with Unabridged Instance, but when I go for Vanilla Minecraft 1.7.10 + Compatible Forge, it crashes on this Mod every single time. I don't understand the crash reports extensively, but it seems like I need a lot more than Forge. Is this true? What else do I need? Your website is down, and I can't find your Terms of Service or modpack policy anywhere. Does anyone know what goes into getting the Hearthstone?Both his Debut and his Spotlight skipped over the acquiring of it. Any help would be appreciated. i seem to have a problem with keybindings between this and NEI. I cant use the enchantment key in NEI when i have FTA installed, and no matter if i change FTAs keys or NEIs the enchant screen never pulls up and inventory closes. theres no crash or logs or anything and it's not the biggest deal in the world, just happened to notice it when in a test world. I'm certain it's something silly on my part, i have a ridiculously large amount of mods running and this seems to be the only conflict i've come across. Welcome back bluedart. Been enjoying the mod so far! Just a heads up, crashes without NEI.